Centaurus Park is a playground adventure wonderland! 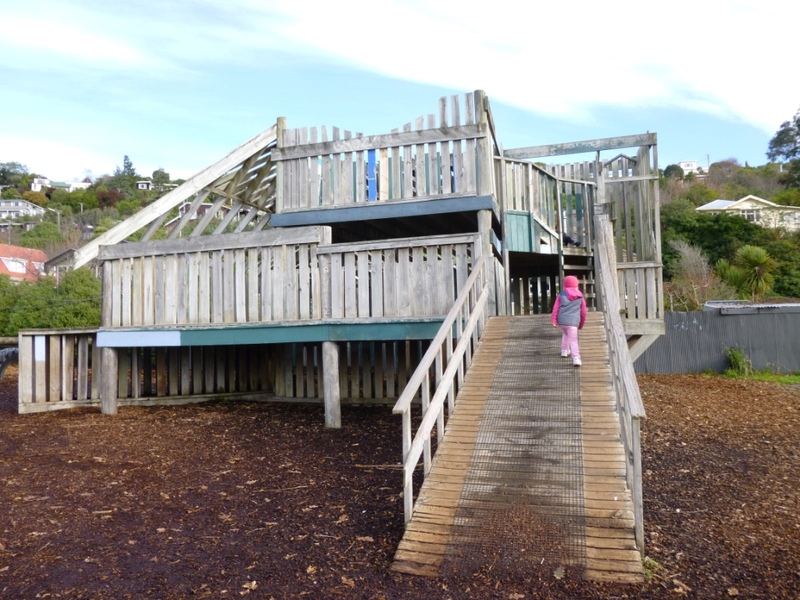 There’s the usual sort of play equipment for little people (slide, horse, swings) then sneak to the back of the park and explore the amazing wooden fort, tyres, and ropes that are part of St Martins school playground. This is a fantastic playground for confidence building, and making up your own obstacle courses. Sneak a little further still, and have a play on the school’s basketball court area. Centaurus Park is located on Centaurus Road in St Martins (see map below). There’s little parking on Centaurus Road but you should find a spot on Ramahana Road. There are no toilets and the grassy areas can get quite boggy. Fava Cafe is within view of the park, on Centaurus Road. We visited Centaurus Park in July 2015 (winter).